Why you should live in a country where others spend their vacation? Thinking to immigrate? You don’t know where exactly and you fear of the unknown? Below you can find several reasons why moving to Cyprus and start living there can be a good idea. Lying at the crossroads of three continents, Europe, Asia and Africa, Cyprus has long served as a major Eastern trading post. Its location, abundance of mineral deposits, rich agriculture and highly skilled craftsmen have long made it a jewel in the crown of the powers of the day. Cultural influences came from all directions, with many civilizations leaving their mark on the island, contributing to the development of a rich and diverse cultural heritage. A former British colony, Cyprus gained its independence in 1960. A notable British presence remains to this day and Cyprus has become home to a large expat community. Today, Cyprus has the third highest percentage of foreign citizens in the European Union, with a total of 128,000. 78,000 or 9.8 per cent of the total population are from other EU member states, and 50,000, or 6.3 per cent of the total population are from non-EU countries according to a survey of the EU’s statistical office. The biggest group of expats living in Cyprus consists of British nationals, but there are also large communities of Americans, Russians and other Eastern European nationals. Cyprus law is based on British law and the island’s banking system is modeled on the British banking system. The vast majority of Cypriots speak English and business is conducted in both Greek and English. Medical care in the Republic of Cyprus is good and meets Western standards. In fact, many of the physicians that practice in Cyprus was trained in either the UK or the United States. Purchasing real estate in Cyprus is straightforward; however, buyers should seek help from a lawyer in case complications arise. Renting or leasing an apartment in Cyprus is relatively affordable. With around 340 days of glorious sunshine a year and a coastline teeming with endless stretches of golden sands, secluded bays and rocky coves, where better to relax at the end of the working day but by the crystal clear waters of the Mediterranean Sea? Or, for a respite from the heat and a complete change of scenery why not unwind with a drive through the picturesque Troodos Mountains? One of the beauties of Cyprus is that the relatively small size of the island means that you are always just a short journey away from anywhere you would like to visit. It is, of course, impossible to talk about Cyprus without mentioning the food. As with most Mediterranean countries food plays an important role and is to be enjoyed at a leisurely pace with friends and family. One of the first Greek phrases to learn in Cyprus is ‘siga siga’ which means ‘slowly slowly’, and is a mantra one will hear almost daily. The fabulous Cypriot food is to be savored unhurriedly, usually al fresco with friends and family. Even a cup of coffee can be a two hour past time. Life is meant to be enjoyed in Cyprus and the finer things in life should never be rushed. Cyprus cuisine is a unique blend of Greek and Arabic food heavily influenced by the Mediterranean diet, said to be one of the healthiest in the world. The best way to experience Cypriot cuisine is to savor the delights of a traditional meze – a seemingly endless succession of ‘small plates’ of wonderful home cooked fare including the famous Cypriot halloumi cheese as well as other delicacies such as moussaka, succulent homemade sausages known as sheftalia, grilled marinated meats and delicious casseroles to name but a few. Cyprus has a superb road system with signs in both Greek and English, a reliable and efficient postal service, a large choice of schools, clubs, restaurants, gyms, theaters, cinemas, museums and art galleries. 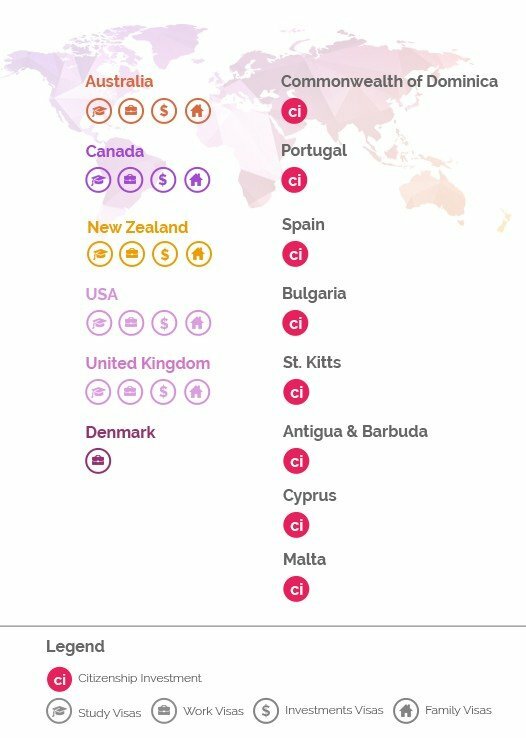 Added to this already attractive package there is the relatively low cost of living, the favorable taxation system and one of the lowest crime rates in Europe. The local infrastructure is ideally suited for business people who need to get things done. Thanks to its modern road network, extensive port facilities and two international airports, travel and transport in and beyond Cyprus is fast, efficient and economical. The genuine warmth and hospitality of the Cypriot people ensure that any visitor to the island is made to feel instantly at home and with guaranteed sunshine and all the other benefits that come with living in Cyprus; it is hard to think of any other location more ideally suited to actually call home. Cyprus is a very popular location for foreign investors to seek a permanent residency permit in due to its stable economic environment and EU member status. It incorporates a prominent political and legal infrastructure and adopts a highly bespoke taxation system. Cyprus is strategically situated to facilitate strong business and trading relations between EU member states. The cost of living in Cyprus is relatively lower than other European Union member states, such as the UK. In addition, the country offers high standards of living and a good education system for all residents, real estate is excellent value for money and taxation at its lowest level. The government of Cyprus has implemented a new immigrant investment program for entrepreneurs and investors who would like to invest in Cyprus and in return obtain Cypriot citizenship. 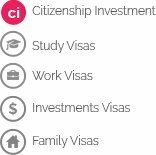 The Investment Citizenship Program is based on a fast-track procedure with reduced time and bureaucracy. Investments and Donation to Governmental Funds. Investments in shares of a Cyprus Investment Company of at least €2 million and donation to the Research and Technology Fund of Cyprus of at least €0.5 million. Direct Investments. Direct investments of €5 million (purchase of real estate or financial instruments; acquisition of a business based in Cyprus; participation in a company / consortium in charge of the execution of a public project). Bank Deposits. 3 year fixed term deposit in a Cypriot bank or deposits of privately owned company or a trust (of which the applicant is the beneficiary) amounting to a €5 million. Combination of the above assets amounting to €5 million. Business activities. The applicant must be a shareholder or beneficial owner of a Cyprus company/ies that has been registered and operating in Cyprus. Prior to submitting the application the company must have paid over the last 3 years funds (corporate tax, V.A.T. or other fees and charges etc) and remuneration for the purchase of business services (legal, accounting, auditing) an amount of at least €500.000 per annum. If the company employs at least 5 Cypriot citizens, then the amount is reduced to €350.000 per annum. In the event the applicant employs 10 Cypriot citizens, the amount should be €200.000 annually for the last 3 years preceding the date of application. Compensation scheme for lost investments. If the applicant has devalved deposits in Bank of Cyprus or Popular (Laiki) Bank in the total value of at least €3 million as a result of the measures imposed on the two banks following Eurogroup’s Financial Program for Cyprus. You have been a permanent resident in Cyprus for 7 consecutive years. You have been a permanent resident in Cyprus for 5 consecutive years and you are child/parent of Cypriot citizen. The foreign spouse of Cypriot citizen, who has resided legally in Cyprus, can claim Cypriot citizenship after completing 3 years of marriage. Persons who intend to work as self-employed in agriculture, cattle breeding, bird breeding or fish culture in the Republic of Cyprus, provided that they have in their possession adequate land or a permit to acquire same, they have fully and freely at their disposal capital of CY£250,000 and such an employment should not negatively affect the general economy of the Republic of Cyprus. Persons who intend to work as self-employed in mining enterprises in the Republic of Cyprus, provided that they have in their possession a relative permit, they have fully and freely at their disposal capital of CY£200,000 and such an employment should not negatively affect the general economy of the Republic of Cyprus. Persons who intend to work as self-employed in a trade or profession in the Republic of Cyprus, provided that they have in their possession a relative permit, they have fully and freely at their disposal capital of CY£150,000 and such an employment should not affect negatively the general economy of the Republic of Cyprus. Persons who intend to work as self-employed in a profession or science in the Republic of Cyprus, provided that they have academic or professional qualifications, for which there is demand in Cyprus. Possession of adequate funds is also necessary. Persons who possess and have fully and freely at their disposal a secured annual income, high enough to give them a decent living in Cyprus, without having to engage in any business, trade or profession. The annual income required should be at least CY£5,600 for a single applicant and moreover at least CY£2,700 for every dependent person, but the Immigration Control Board may demand additional amounts as necessary. Most applicants come under this Category, the majority of them being pensioners or retired persons. For the granting of an immigration permit application is submitted on form M.67 to the Civil Registry and Migration Department directly or through the District Aliens and Immigration Branches of the Police. The application should be accompanied by the appropriate documents, depending on the Category for which it is submitted. More detailed information about Cyprus citizenship by investment is available through The Immigration Office assessment. All our Investment assessments are free, individually made according to your needs and 100% confidential.